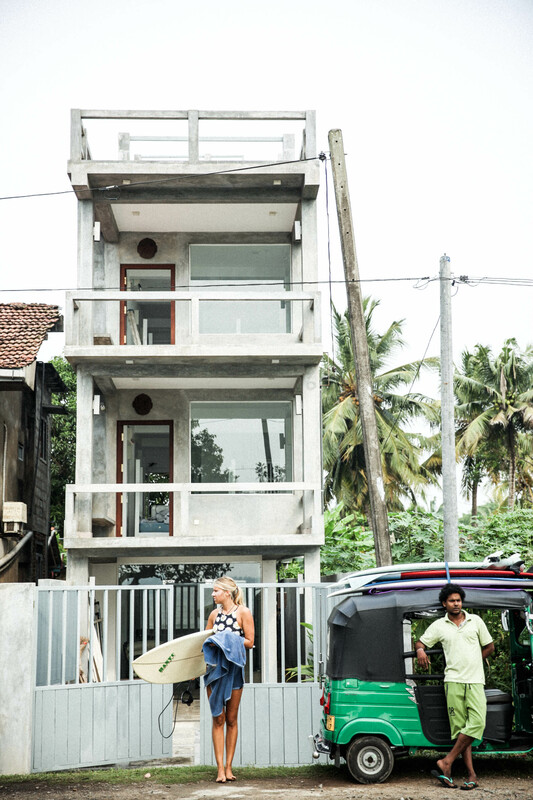 At Ceylon Sliders we feature stylish ocean view suites as well as a more modest room in the back building. Perched in between it all lies our courtyard café, on top our rooftop bar out the front a shop stocking tee's and accessories from our own brand as well as some of our favorite brands from near and far. 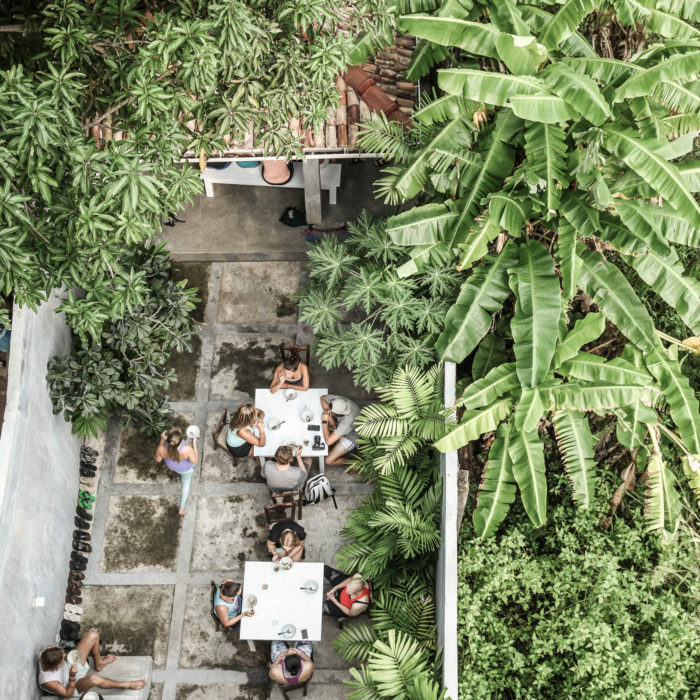 The space is inspired by tropical modernism, the artists passing by and the local surfers. Art shows, workshops and special events are magically coming together every now and then. Ceylon Sliders accommodation is designed with modern living and laid-back luxury in mind. 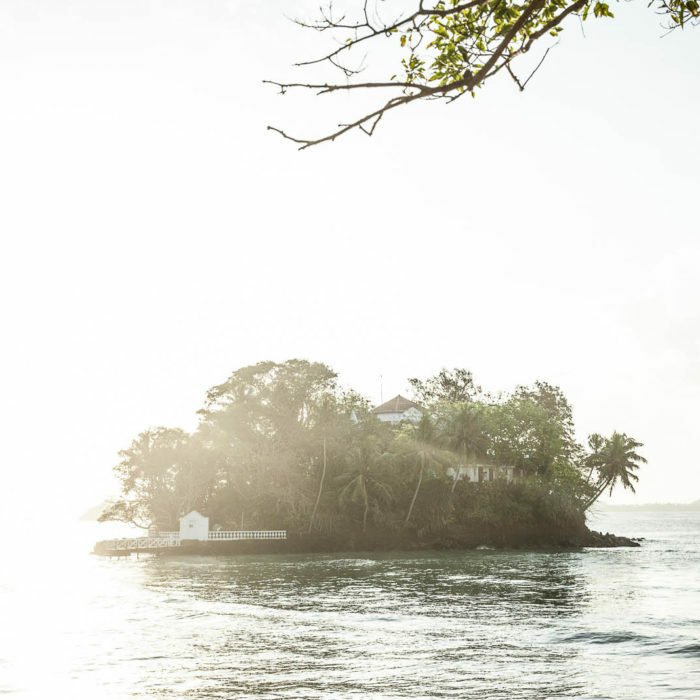 From spacious suites with sea views to more modest rooms, the relaxed interiors, colonial furniture, white washed walls and collection of photography prints and artwork drifts throughout. Each room a personal space to unwind before heading out to explore the south coast of Sri Lanka. 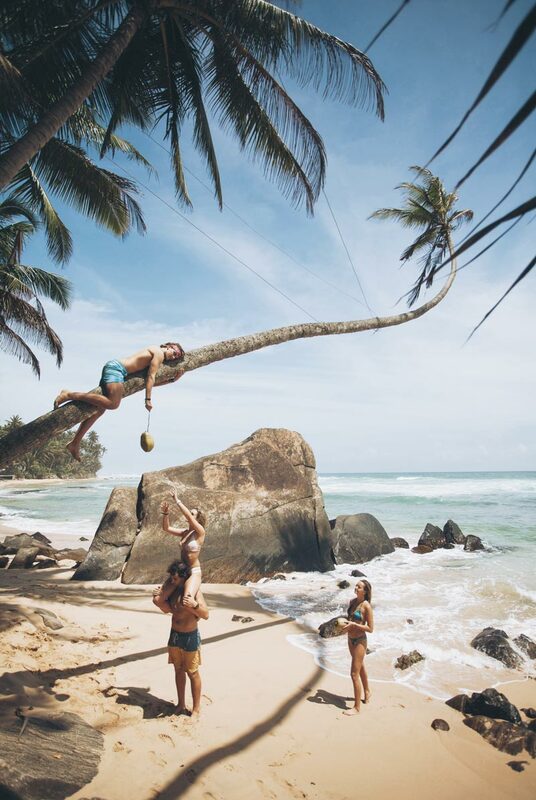 More than a location, Ceylon Sliders brings together like minded people that are sharing the joy of riding the waves around the island. 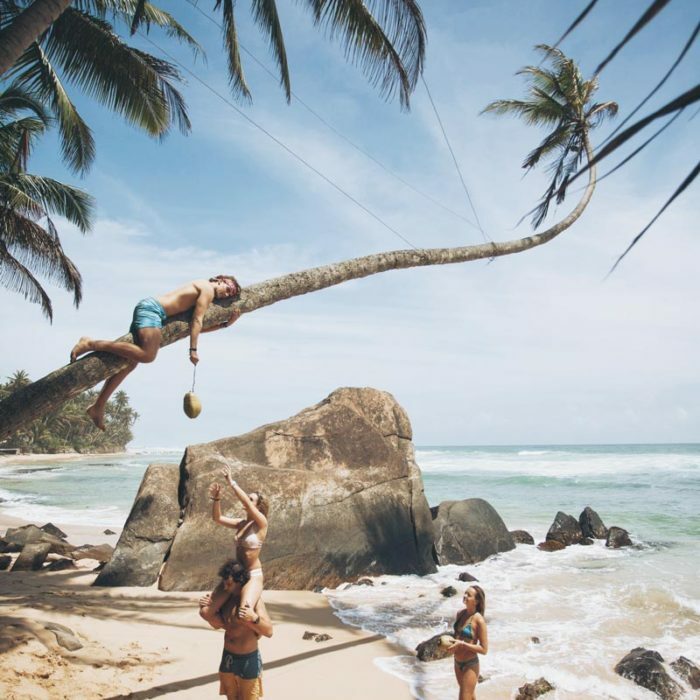 The palm-speckled bay of Weligama, peeling surf and laid-back ambience provides the perfect backdrop for inspiration to flow and creativity to grow. 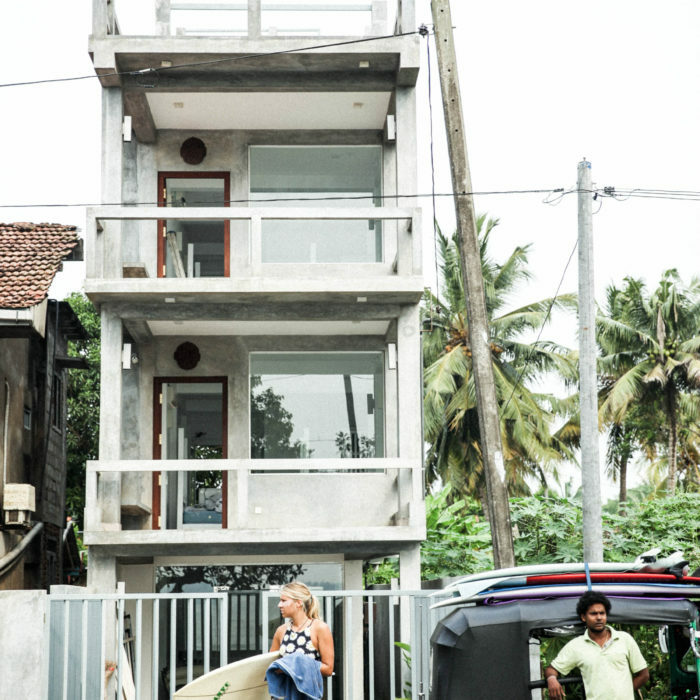 Ceylon Sliders is a carefully designed space created by the individuals that live here and the ones that travel by. 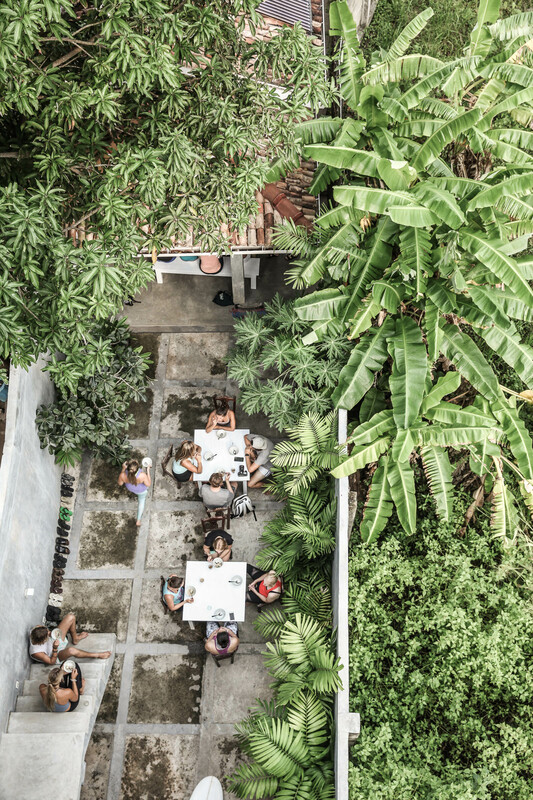 Together we share a simple life by the sea, surfing waves, creating things or enjoying good meals at the café. 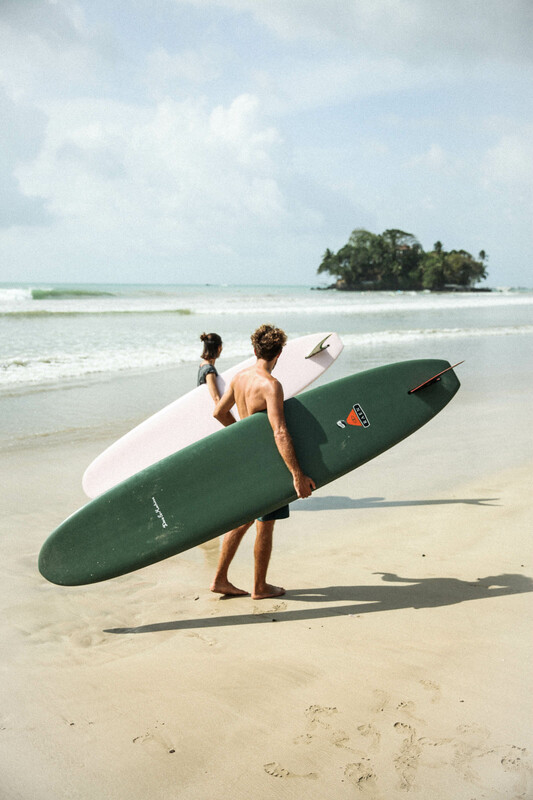 Whether you’re a beginner or an advanced surfer, we’re on hand to help you get the most out of your surfing holiday. 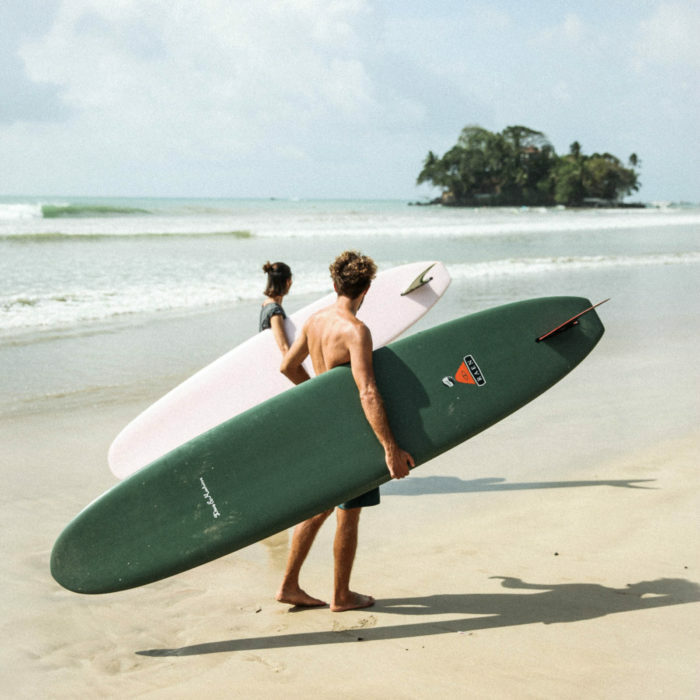 Weligama provides the perfect backdrop to learn with relaxed waves peeling just out front whilst the more advanced can enjoy world class waves on any of the reef breaks down road. 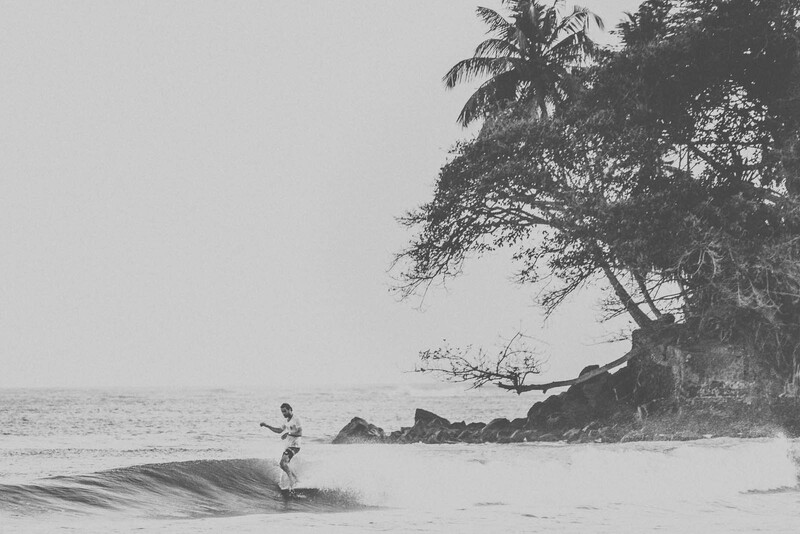 Surf Lessons & specialty board rentals available on-site. 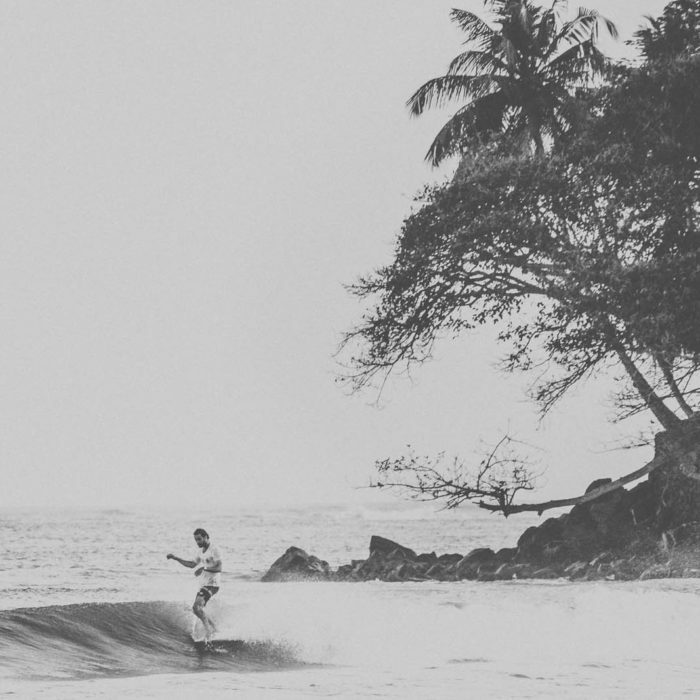 Ceylon Sliders Surfboards & Bing Surfboards available for purchase in the shop – logs, fishes and midlenghts. We believe in food that is cooked with natural ingredients such as whole grains, nuts, seeds, good fats, vegetables, fish and fruits, all sourced locally from the markets. We are not a raw food kitchen nor a vegan kitchen, we don’t follow any strict dietary cooking philosophies, we just cook simple food with quality produce and a sense of detail. 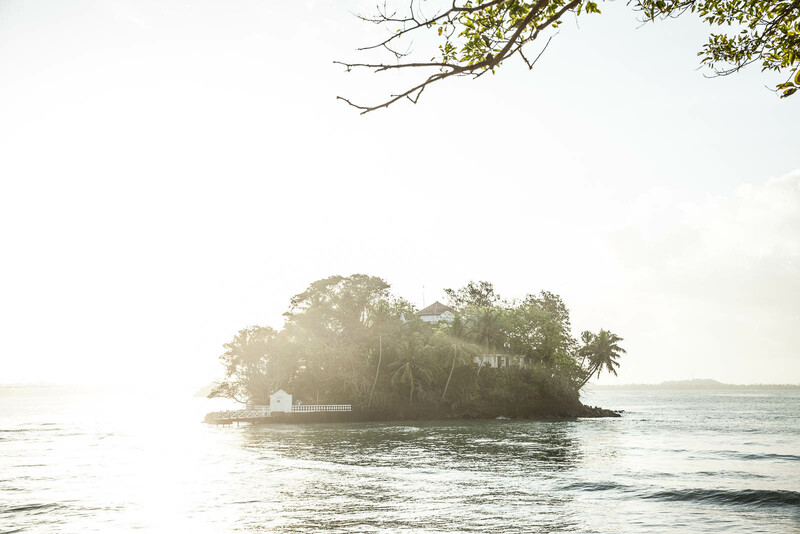 With unrestricted sea views of Weligama Bay our rooftop is a melting pot for the whole area. It features a cocktail bar as well as a restaurant. 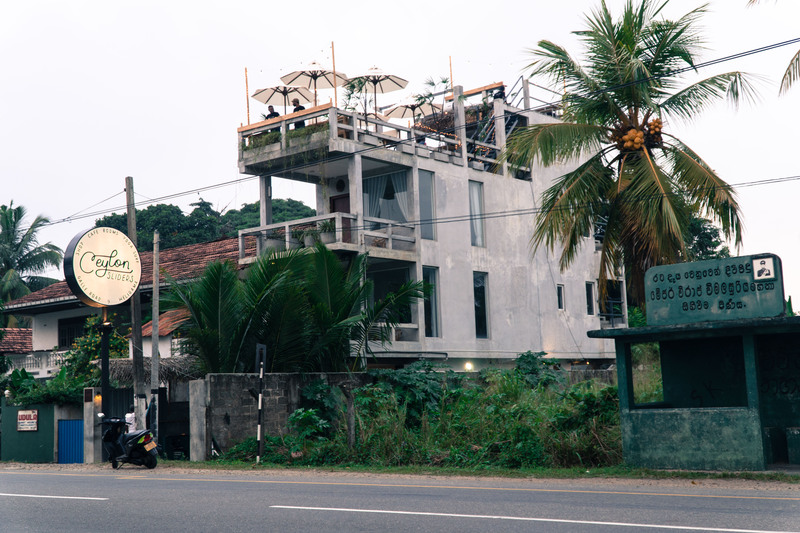 Think living room vibes but with open air and panorama views of beautiful Weligama. 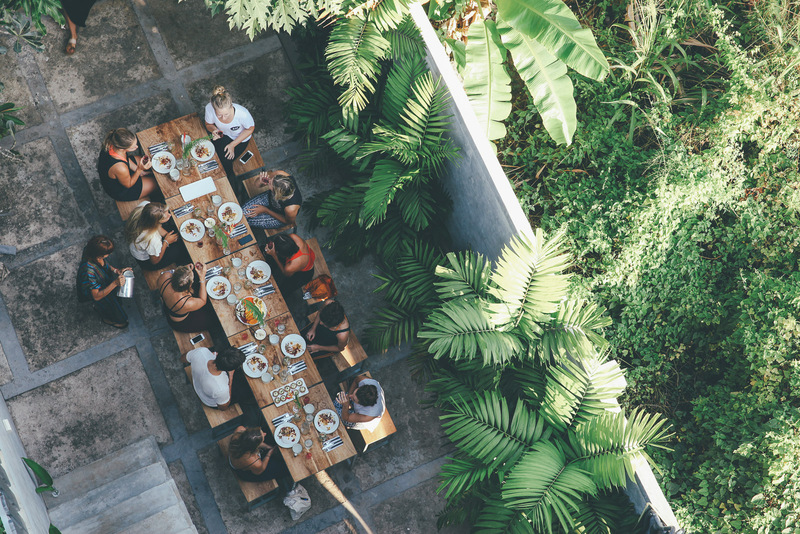 Good music, good vibes, and good food make for a perfect sunset drink & dinner spot. 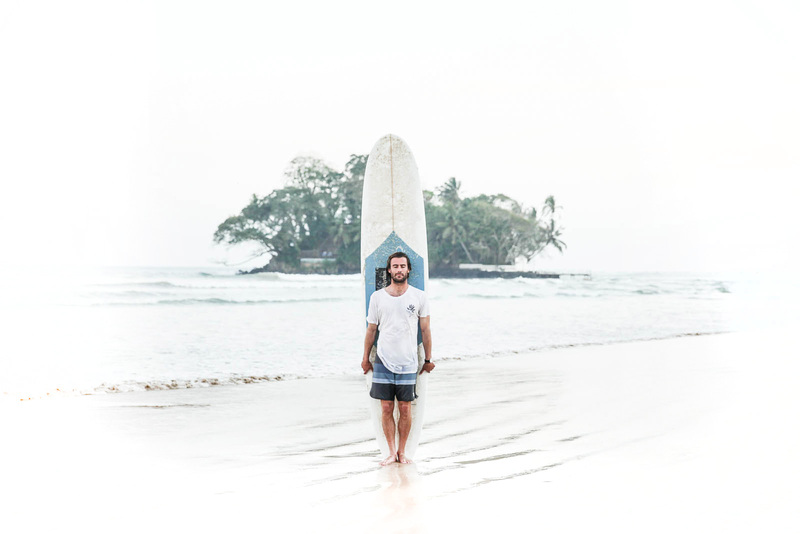 Ceylon Sliders also brings together hand-picked merchandise from the island and around the world as well as things produced under our own brand. 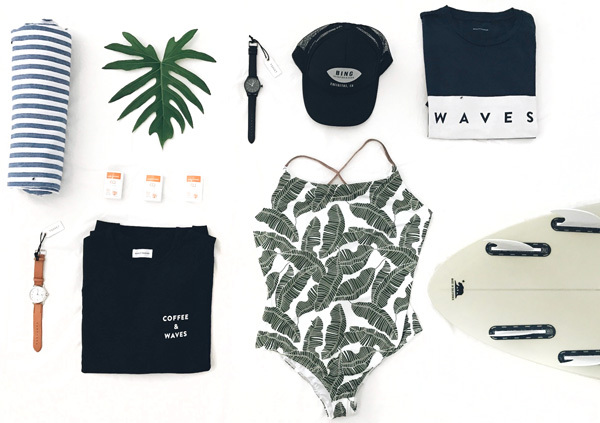 You can find designer swimwear, gold & silver jewelry, men and women's accessories, health & beauty products, kimonos, watches, and hand shaped Bing Surfboards from California, we’ll continue to stock the freshest ranges from sought after labels which share our love for the ocean as us.